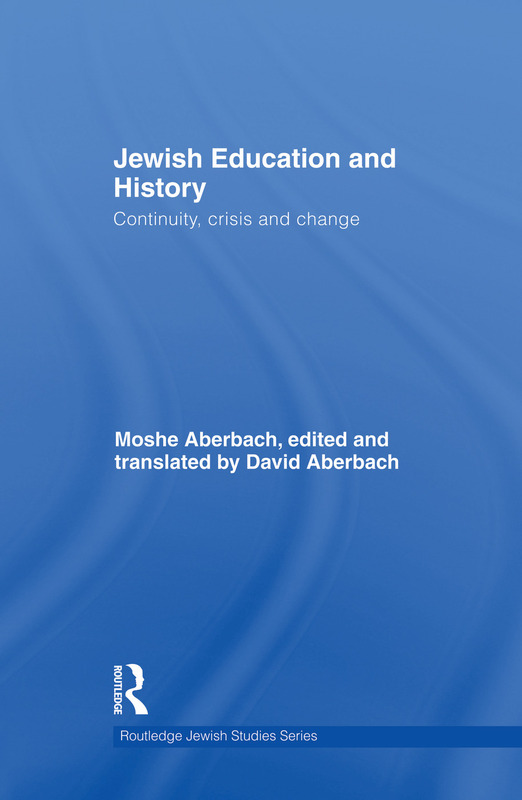 Moshe Aberbach (1924-2007) was a leading educator and scholar in Jewish studies, specialising in the field of Jewish education in the talmudic period. This book draws on a representative selection of his writings over a fifty year period, and includes essays on Saadia Gaon and Maimonides, coverage of biblical and talmudic studies, and discussions of the roots of religious anti-Zionism and of the Lubavitch messianic movement in the context of similar movements in Jewish history. Focusing on the history of Jewish education and linking the Roman destruction of the Jewish state in 70 CE with Jewish survival after the Holocaust, and how survival of both depended on a strong system of education and the moral example set by teachers, the book explores the vital importance of education to Jewish survival from biblical times to the present. The book includes an autobiographical memoir of Moshe Aberbach’s childhood in Vienna, as well as a biographical Foreword by his son, David. It will be of great interest to Bible scholars and students of Jewish Studies, History, the Holocaust and Jewish social psychology. Herod and Josephus: Patriots or traitors?